Harvest House Publishers, 9780736929585, 334pp. Fast-paced and inspirational, The Million Dollar Mystery series is from bestselling author Mindy Starns Clark. Attorney Callie Webber investigates nonprofit organizations for the J.O.S.H.U.A. Foundation and awards the best of them grants up to a million dollars. In this series, Callie comes across a mystery she must solve using her skills as a former private investigator. A young widow, Callie finds strength in her faith in God and joy in her relationship with her employer, Tom. In book number three of The Million Dollar Mystery series, Callie suddenly finds herself involved in the life of a young wife and mother whose husband has disappeared...possibly the victim of foul play. 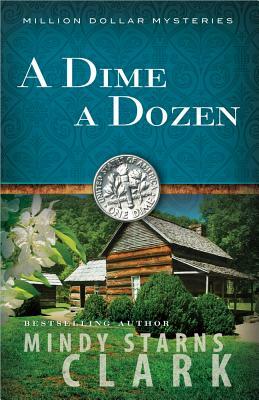 Callie has come to the beautiful Smoky Mountains hoping to award a million-dollar grant to the charity set up in the woman's late husband's honor. But in the search for a missing migrant worker, a body is discovered, which puts the grant on hold and her new romance with her mysterious boss in peril. Trusting in God, Callie forges steadily ahead through a mire of clues that lead her deeper and deeper into danger.